Beautyqueenuk | A UK Beauty and Lifestyle Blog: DKNY Be Delicious! Every now and again I come across a product/brand and have an obsession. The current obsession is DKNY Be Delicious perfumes, they smell absolutely phenomenal and I cannot get enough of them. I currently have three of the eight (that I have seen) that are available and I absolutely love the scent of all the ones I have tried and am sure I will be adding to my collection. 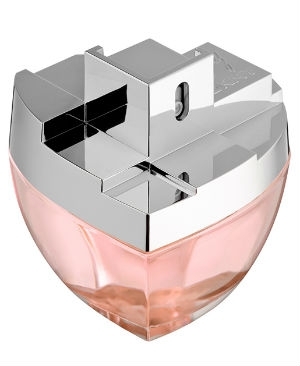 DKNY Be Delicious - This perfume is described as being "A refreshing scent in an iconic apple-shaped bottle tempts you to take a bite out of life. A sophisticated blend of apples, exotic flowers and woods creates a fresh, juicy scent that can only be called delicious." This was the first DKNY Be Delicious perfume I tried and I loved it from the first spritz, it works well with my skin and is really long lasting and I use it so much I have recently re-purchased, hence the reason I have two. DKNY Red Delicious - This perfume is described as being "Sunflowers symbolizes the sun, capturing its goodness, naturalness and energy. The sunflower best represents what women today strive to become: strong, beautiful, healthy, smart and intuitive". I bought this without smelling it, there was an offer in Boots and it was less than half price, last bottle, slightly damaged box and it was too good for me not to buy it. That said, as soon as I spritzed it, I loved it. Again it works well on my skin and is quite floral and simply lovely, I can't help but love it. Be Delicious Fresh Blossom - This perfume is described as follows: "DKNY Be Delicious Fresh Blossom transports you to that first stroll of spring in Central Park when it's abloom with flowers. Like a flirtatious smile it charms everyone it encounters. Light-hearted and intensely feminine, the scent is a mix of luscious fruit and delectable flowers. A blend of sparkling grapefruit, cassis and sun-kissed apricot meets a heart of sheer muguet and petal rose, wrapped in luminous jasmine. The apple sensation finishes with a body-lingering base of blonde woods and smooth skin accords. You can't help be instantly smitten as will he". I bought this in the airport in France a it was on offer for £19 and I knew it was missing from my collection, luckily I was able to try it before I bought it and surprise surprise I loved it, so much so I managed to encourage one of my work colleagues to buy it for his girlfriend who also loved it. And of course the new DKNY My NY which I cannot wait to try. Do you have any of the DKNY perfumes in your collection? Wow you have quite a collection! love the sound of this range! These DKNY perfumes are amazing. I've got the classic Be Delicious and Red Delicious, but I'm also dying to try out some of the other ones in the collection. I bought the Urban Violet edition today and really like it! It's on sale in boots so I couldn't say no! I've always wanted to try some DKNY perfumes. I love the look of the bottles, especially the new one. Wow amazing collection! I wish they'd bring back the Sweet Delicious range, Creamy Meringue was my favourite! I love DNKY's original be delicious- i actually wrote a post on why its my signature scent. I knew they realease others but not this many! I can't wait to try myny and the bottle looks amazing!